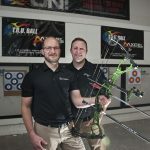 Since earning their MBA degrees at Lynchburg College, Ben and Brian Summers have helped their family archery equipment business excel and expand globally, despite economic downturns and a competitive business environment. 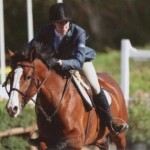 When Caitlin Flathers graduated from LC in 2009, she was gunning for the 2012 Olympics. “I didn’t quite make it as far as I had hoped … but I’m pretty impressed with myself for making it to the trials,” she said. Sherron Watkins, the woman who blew the whistle on Enron, will speak at 7:30 p.m. Feb. 9 in the Memorial Ballroom, Hall Campus Center. Watkins, who was named Time magazine’s Person of the Year in 2002 along with two other female whistleblowers, is author of Power Failure: The Inside Story of the Collapse of Enron (written with Mimi Swartz). 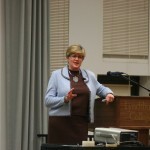 On Tuesday, February 9, 2010, the School of Business and Economics hosted the second Gifford Lecture in Business Ethics. Speaker Sherron Watkins, former vice president of Corporate Development at the Enron Corporation, worked for Andrew Fastow in the mergers and acquisitions group. As a result of action taken by the School of Business and Economics faculty, new and updated academic programs will make it possible for students to pursue multiple areas of study within SOBE, giving them the opportunity to enter the job market with an even broader range of skills and knowledge.